← While you were sleeping. 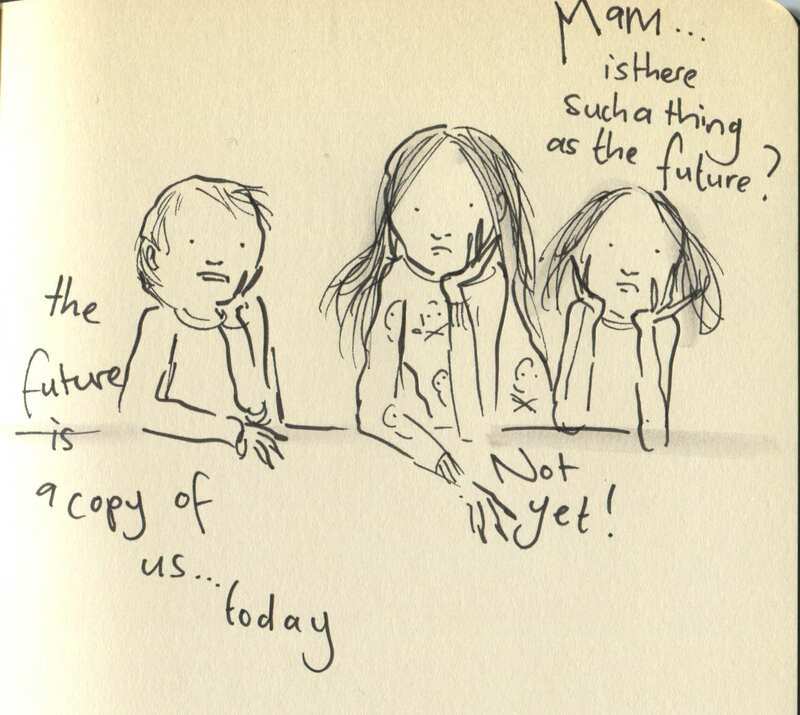 Posted on March 29, 2015, in Uncategorized and tagged Children, Doodlemum, Drawing, Humour, Illustration, Life, philosophy, Sketchbook. Bookmark the permalink. 3 Comments. Time is a ball of wibbly-wobbly… timey-wimey… stuff! Blimey! I could only cope with..” What’s for tea?”! What an interesting thought from your 3 Philosophers..